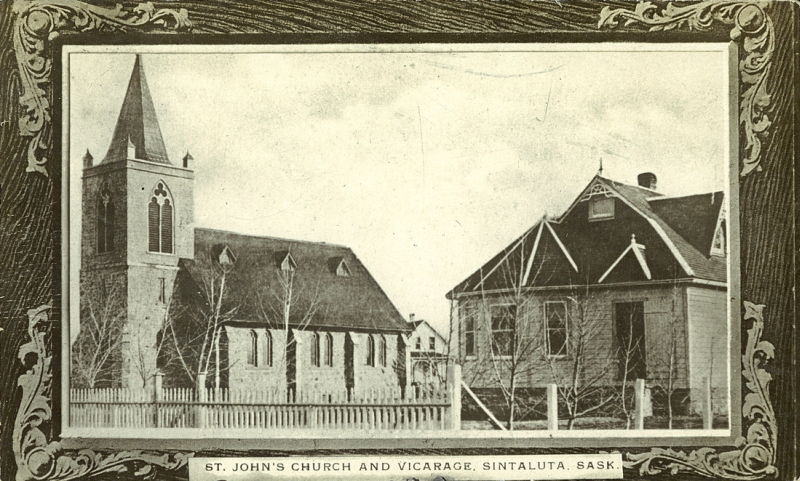 St. John's Church and Vicarage, Sintaluta, Sask.. c1915. Description: View of a church building. PC011317: "St. John's Church and Vicarage, Sintaluta, Sask." is licensed by University of Alberta Libraries under the Attribution - Non-Commercial - Creative Commons license. Permissions beyond the scope of this license may be available at http://peel.library.ualberta.ca/permissions/postcards.html.